From the transition of single-cell organisms to multicellularity of metazoans, evolutionary pressures selected new genes and phenotypes to cope with the oxygenation of the Earth’s environment, especially via the symbiotic acquisition of the mitochondrial organelle. There were many new genes and phenotypes that appeared, namely, stem cells, low-oxygen-micro-environments to house these genes (“niches”), new epigenetic mechanisms to regulate , selectively, the gene repertoire to control proliferation, differentiation, apoptosis, senescence and DNA protection mechanisms, including antioxidant genes and DNA repair. This transition required a critical regulation of the metabolism of glucose to produce energy for both the stem cell quiescent state and the energy-requiring differentiated state. While the totipotent-, embryonic-, pluripotent-, and a few adult organ-specific stem cells were recognized, only relatively recently, because of the isolation of somatic cell nuclear transfer (SCNT) stem cells and “induced pluripotent stem” cells, challenges to the origin of these “iPS” cells have been made. 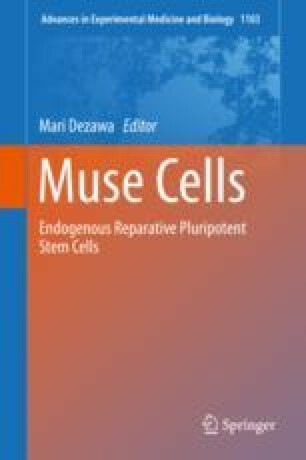 The isolation and characterization of human MUSE stem cells and more adult organ-specific adult stem cells have indicated that these MUSE cells have many shared characteristics of the “iPS” cells, yet they do not form teratomas but can give rise to the trigeminal cell layers. While the MUSE cells are a subset of human fibroblastic cells, they have not been characterized, yet, for the mitochondrial metabolic genes, either in the stem cell state or during their differentiation processes. A description of other human adult stem cells will be made to set future studies of how the MUSE stem cells compare to all other stem cells.